Over the course of two days I’ve been able to spend with the Sapphire Nitro R9 380 and R9 390, performance wise I have to say I’m underwhelmed; that’s not Sapphire’s fault though. If I was looking for an upgrade over the previous generation 280, the 390 wouldn’t be it. In my testing of the cards the performance between the previous generation and the new generation 300 series cards are identical. So why would AMD do a refresh of their graphics processor rather than a complete upgrade? To be totally honest, I don’t have a good answer for you. Everything that we know of the 300 series we know the 200 series is capable of. Running through the presentation that AMD provided, DirectX 12, FreeSync, 8GB of GDDR5, Virtual Support Resolution, and 4K support. The only thing I see that’s really different is that the 300 series includes Frame Rate Targeting, which is designed to reduce heat, noise and power consumption, by allowing users to set a target frame rate for their games. Of course, this isn’t new either, several games currently have frame rate locks on their games. Sapphire has done a great job at making it easy for the average gamer with the Nitro series. You don’t need to know which of the dozen 390 cards you have if you get the Nitro 390. Implementing the rating system is great if you always look at Sapphire’s cards, again, making it easy for the average gamer to know what card is better. Then again you already have the ratings on big online retailers like Amazon and Newegg and then all the review sites that Sapphire sends cards to. LiquidVR is one of the only new features on the AMD 300 series cards that I have not seen mention of before. This technology is designed to make Virtual Reality more comfortable and realistic than previously possible. This is done by using AMD’s sub-system to reduce motion latency to less than 10ms which should reduce motion sickness. Crytek is one of the companies looking to implement this new technology into their games, and has released a short video showing it’s effect. 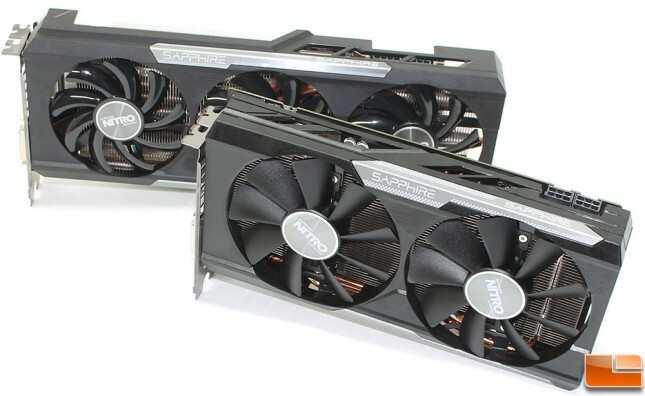 If you are looking for a new graphics card to replace a graphics card that is several generations behind, the Sapphire Nitro 300 series would be a good choice. Sapphire has included the highest quality components and the best features of their graphics card in an easy to choose new line. 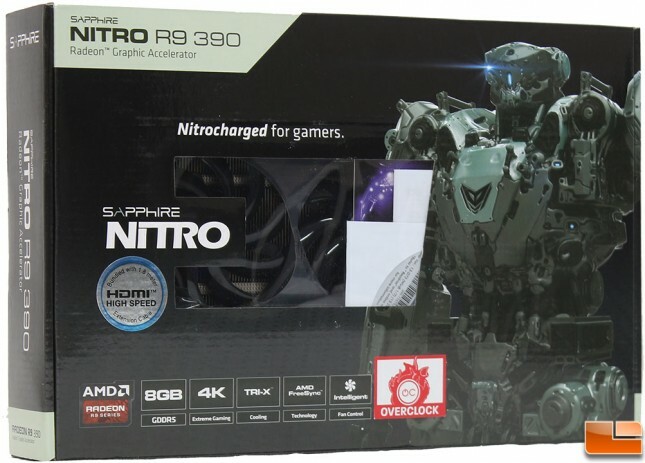 The Sapphire Nitro 390 (part number 100382NTOCL) has just become available for order and can be found online for $329.99 plus shipping while the Nitro 380 (100384NT4GOCL) will run $219.99 plus shipping. If you have a graphics card from the previous generation (280 and 290), there is no need to upgrade to the 300 series card, I would wait for the next generation or the AMD Fury graphics chip. Taking a quick look at the pricing for the previous generation graphics cards, to get a comparable graphics card with the same amount of memory as the Nitro 390, you’ll spend around $374.99. This can make a difference in gaming at higher resolutions. Legit Bottom Line: If you have been considering a new graphics card, the Sapphire Nitro series looks to be a great option. The Nitro 390 is priced close to $50 less than the previous generation’s R9 290 with 8GB of memory. Noise, Power and Temperature appears to be improved over the 200 series graphics cards as well.